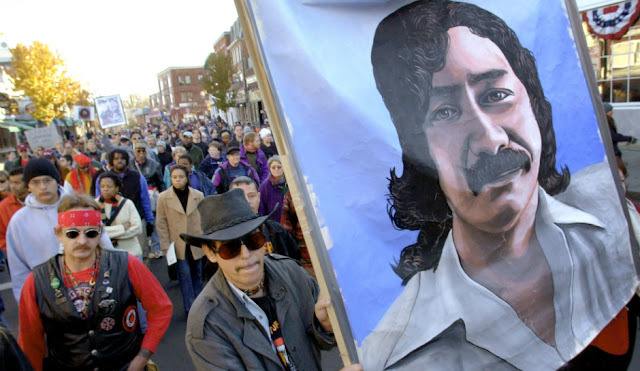 By commuting Peltier's two consecutive life sentences, the president will have the final word on a case that's stained federal law enforcement for decades. "He missed so much of my life, important moments like graduations, and I had to remember he wasn’t missing these moments because he wanted to — he had no choice. My worst fear is that he will die in prison and I won’t have any real time with him." wrote Peltier's daughter, Kathy Peltier, in a blog post for Amnesty International. On Tuesday, former U.S. Attorney James Reynolds, a former prosecutor who oversaw key parts of Peltier's appeal, wrote a letter to the Chicago Tribune calling for clemency for the aging activist. Reynolds is not alone in his advocacy, joining countless Native Americans, Standing Rock Sioux Tribe Chairman Dave Archambault, Archbishop Desmond Tutu, Nelson Mandela and over 50 members of Congress who have at different points called for Peltier's release. Peltier was not on the list of 273 people granted commutations or pardons Tuesday. The White House has said Obama would grant more commutations Thursday. The answer to whether Obama will release Peltier or not will have to come before Jan. 20. The clock is ticking on Peltier's freedom, and with it, the hopes of his global network of supporters. January 18, 2017 / Clemency denied! 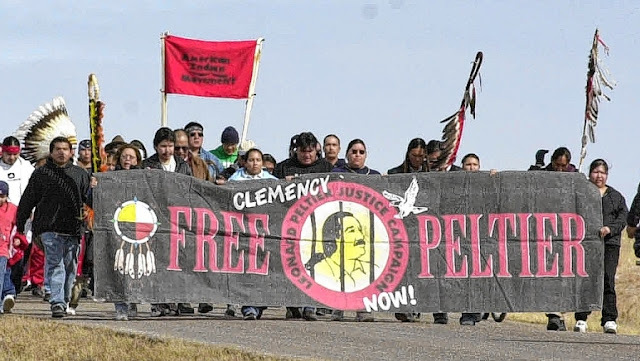 Responses to "The Whole World Is Watching: Obama Has 2 Days To Free Leonard Peltier"